There is nothing better then the feeling you get when someone calls you Mom or Grandma for the first time. Share that feeling with our Personalized How Much Love Women's Fitted T-Shirt. 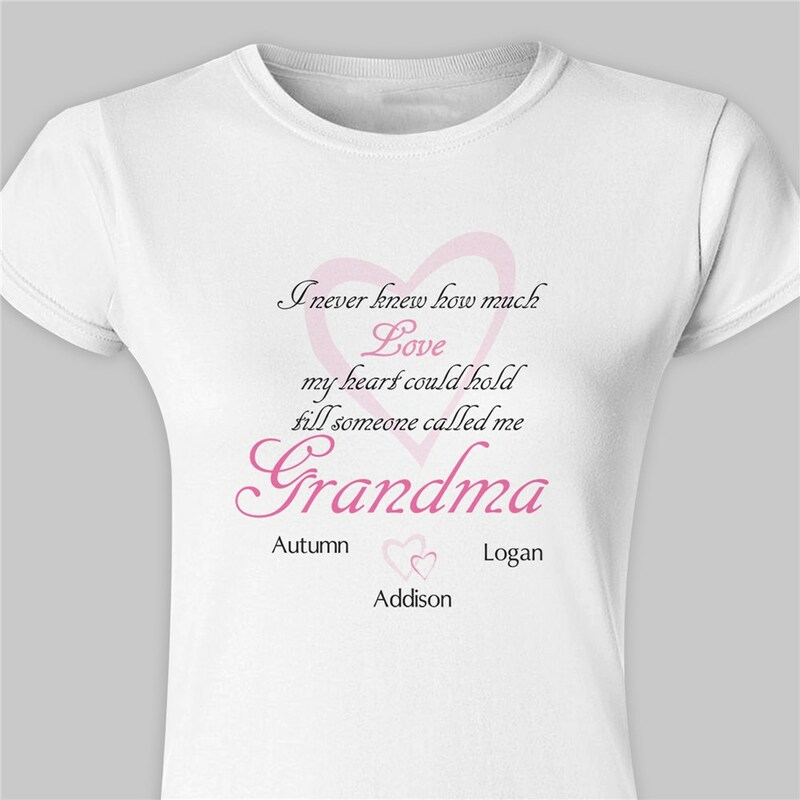 Your Personalized Mom T-shirt is available on our premium 100% soft-style cotton, Personalized T-Shirt, machine washable in adult sizes S-2XL. Please Note: 3XL is available in Black and White Only. Shirt is 4.5 oz, pre-shrunk, double-needle stitched sleeve and bottom hemmed. Includes FREE Personalization! 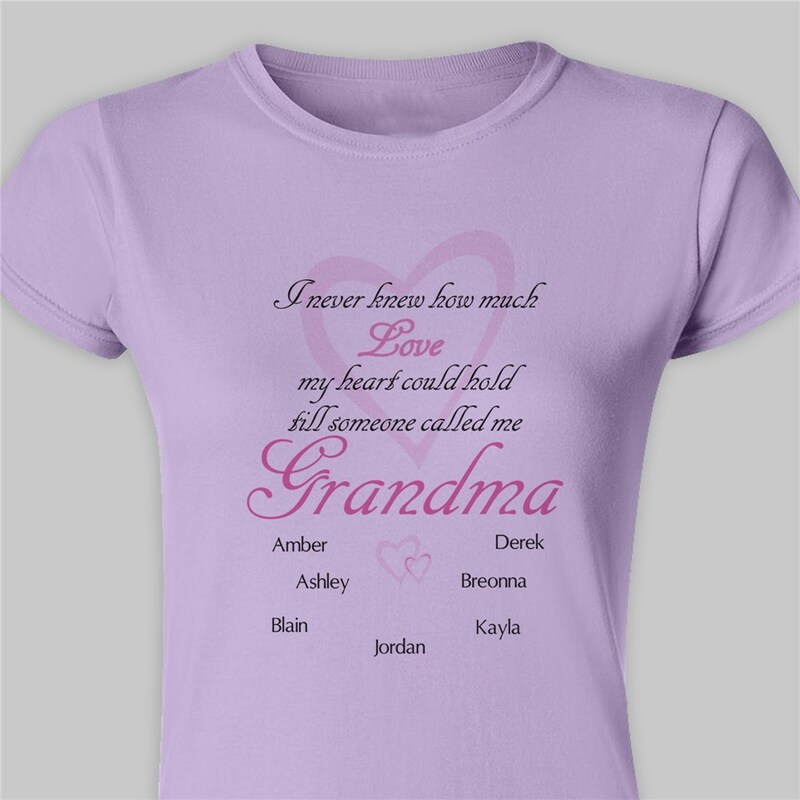 Personalize your Love T-Shirt with any title and up to 30 names. this was a gift for my best friend. she loved it so much it brought her to tears. This is the second one of these I have ordered. I had to update due to the birth of my granddaughter. If my daughter has another child, I shall be sure to order a third.